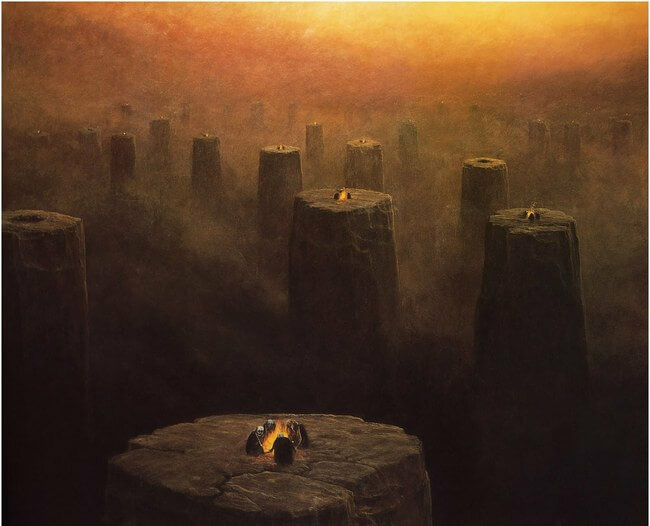 Zdzislaw Beksinski (1929-2005), a Polish born painter, started out his career as a construction supervisor after studying architecture. 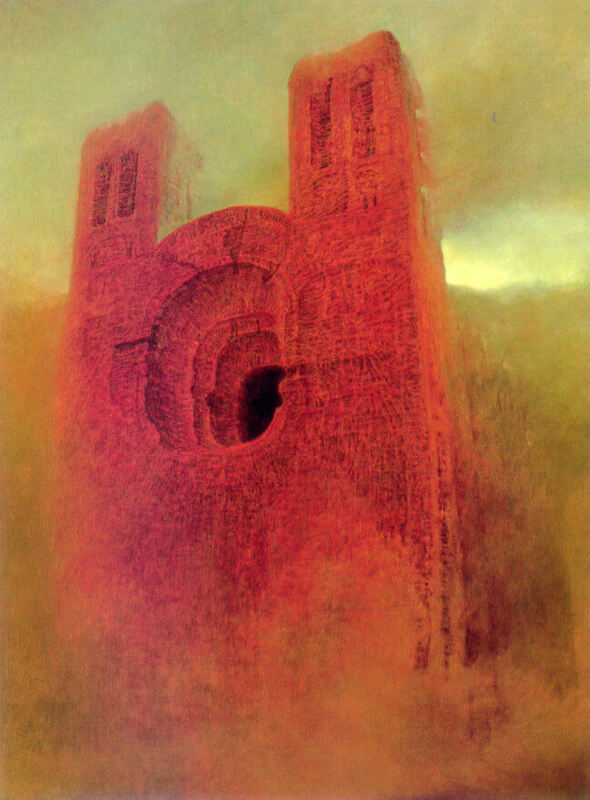 However, he soon learned that he simply could not stand the field, and turned to sculpture. 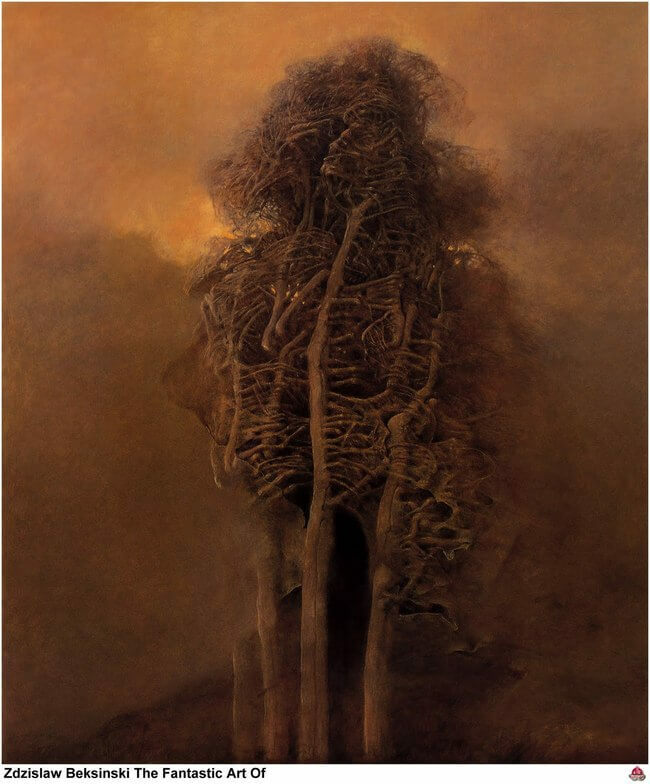 With no classical training, and very little known excitement expressed towards museums and galleries, Beksinski found an interest in sculpture that later developed into photography, and later, a love of painting. 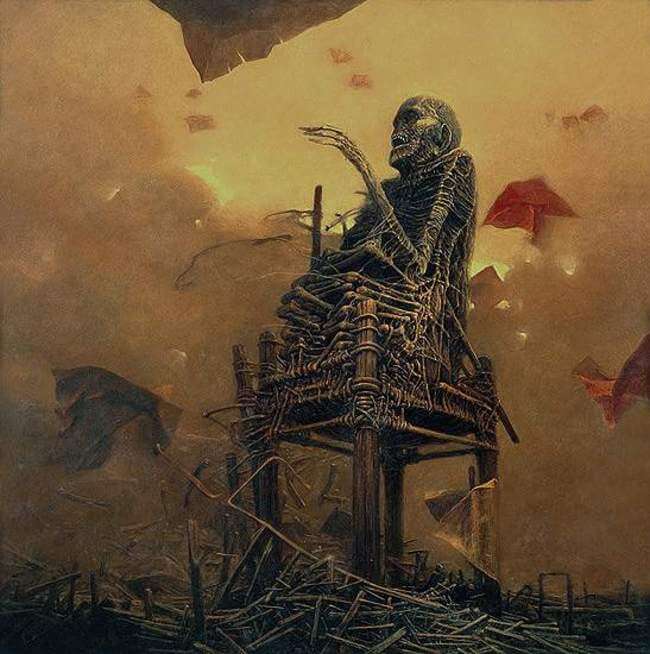 Those who knew him personally, described Beksinski as a kind, humorous, and well-measured man that took little interest in over analyzing his own work. 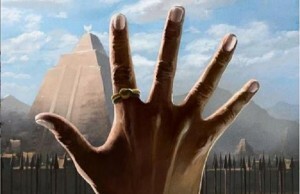 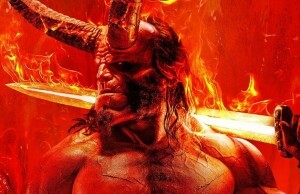 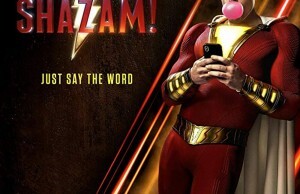 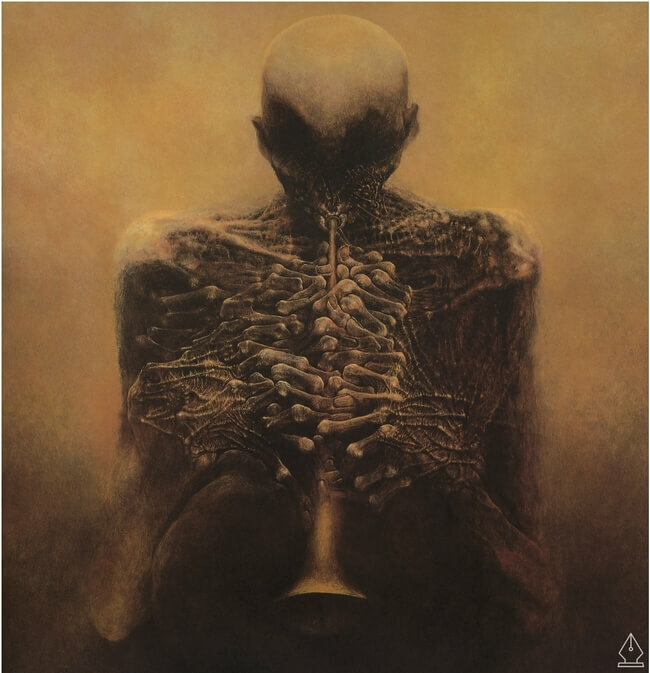 His inspiration was alleged to have derived from music. 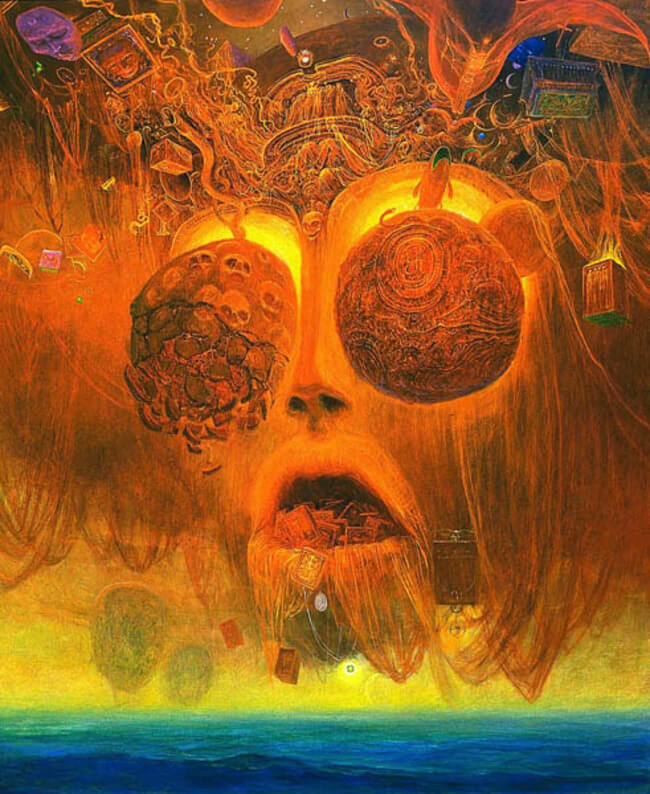 Upon viewing his hauntingly beautiful works of art, I am curious as to which music he was listening to. 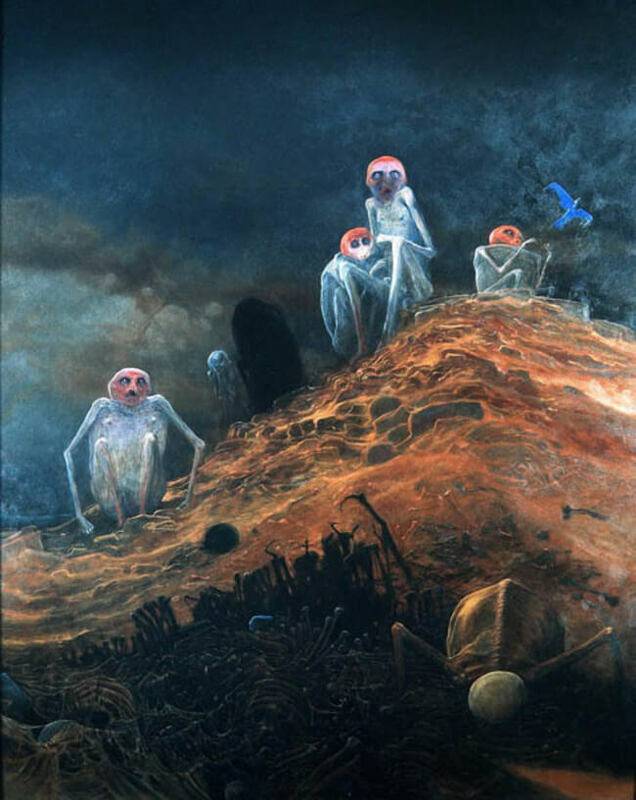 Beksinski’s history of loss could have also influenced his twisted and terrifying depictions of hell. 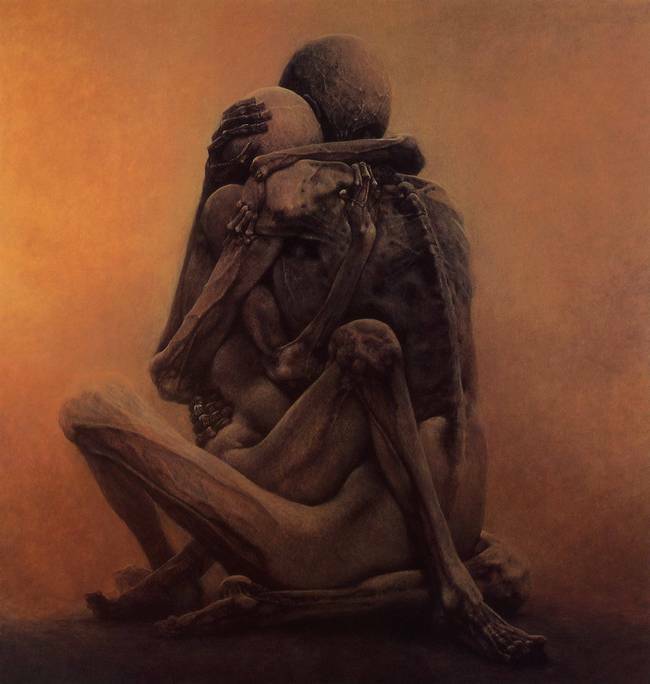 In 1998, Beksinski’s wife died of an illness. 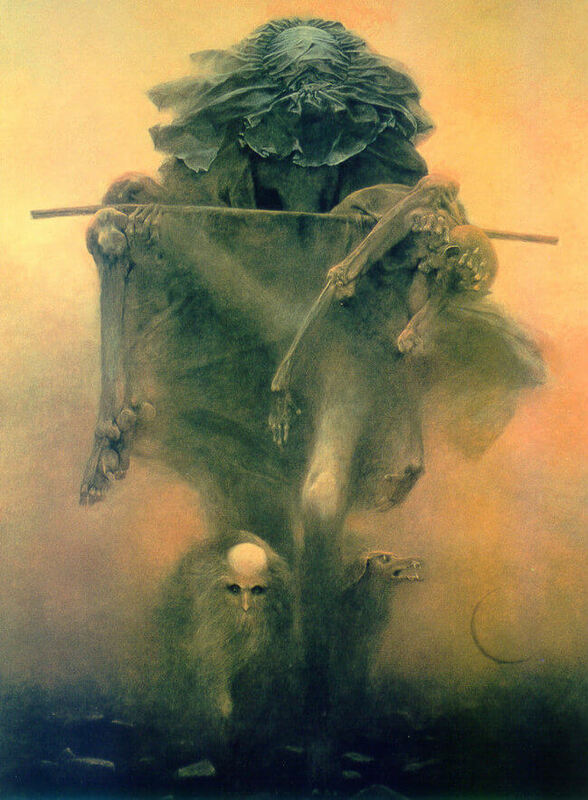 One year later on Christmas eve, his son, Tomasz, committed suicide. 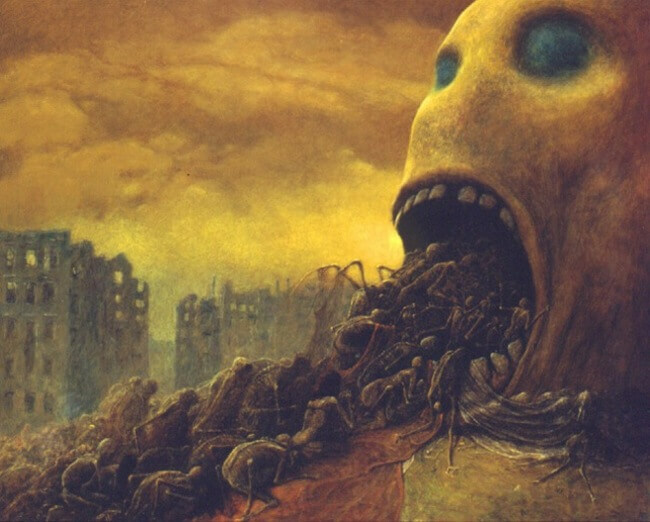 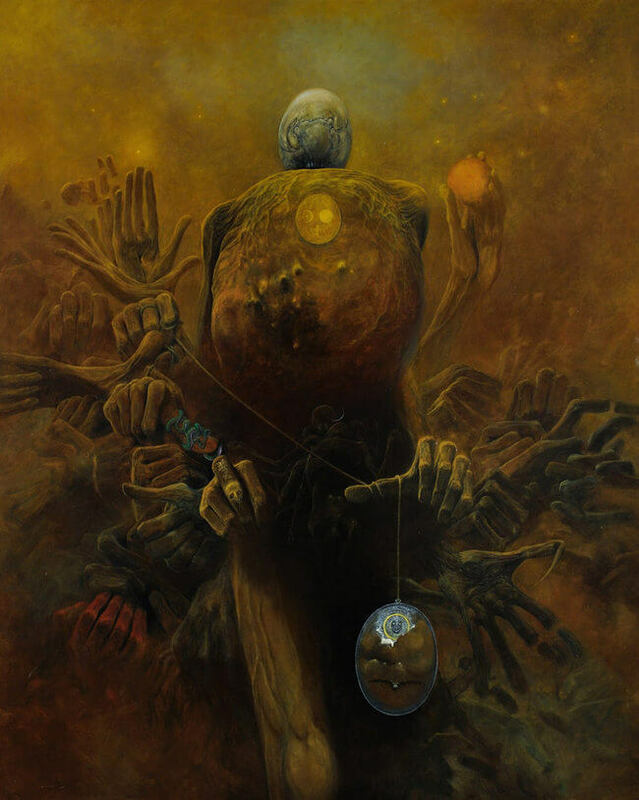 Beksinski found his body. 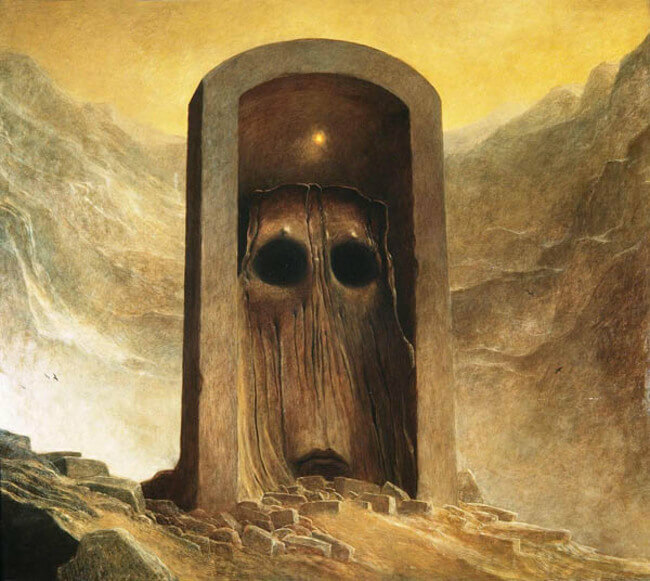 Like his artwork, this talented painters life got even darker. 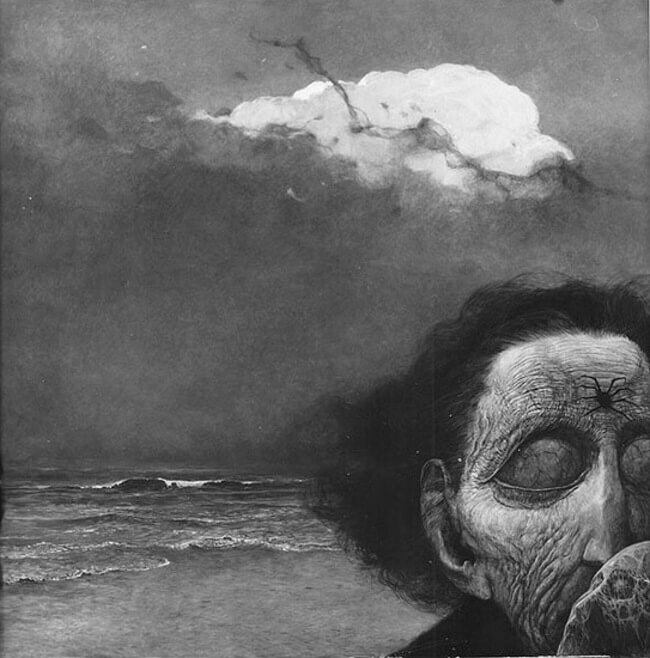 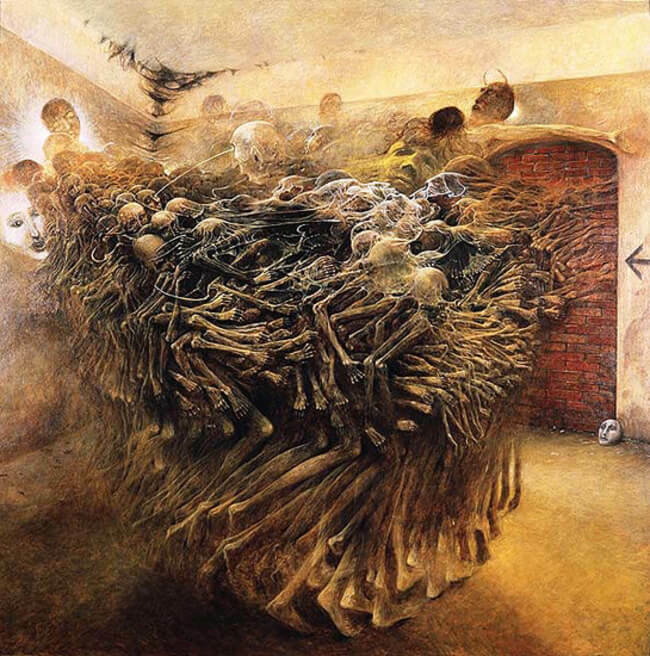 In 2005, Beksinski was brutally murdered. 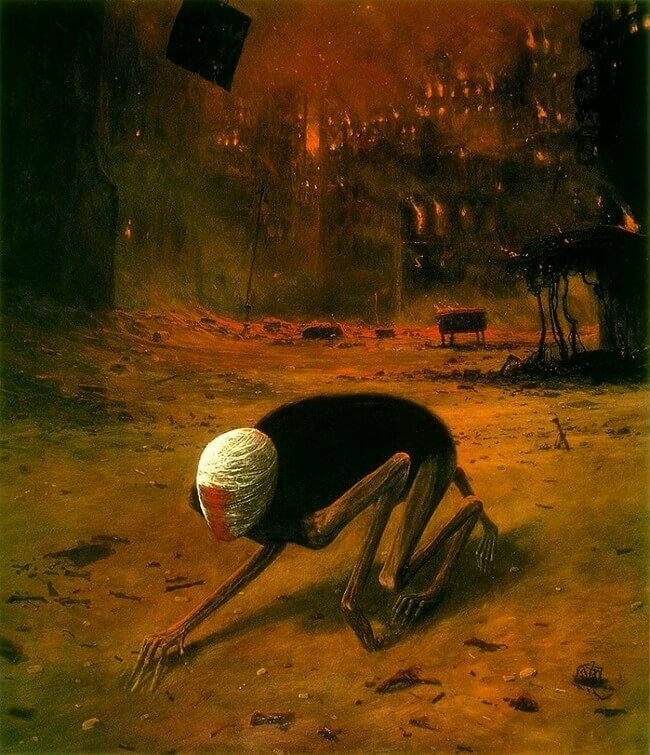 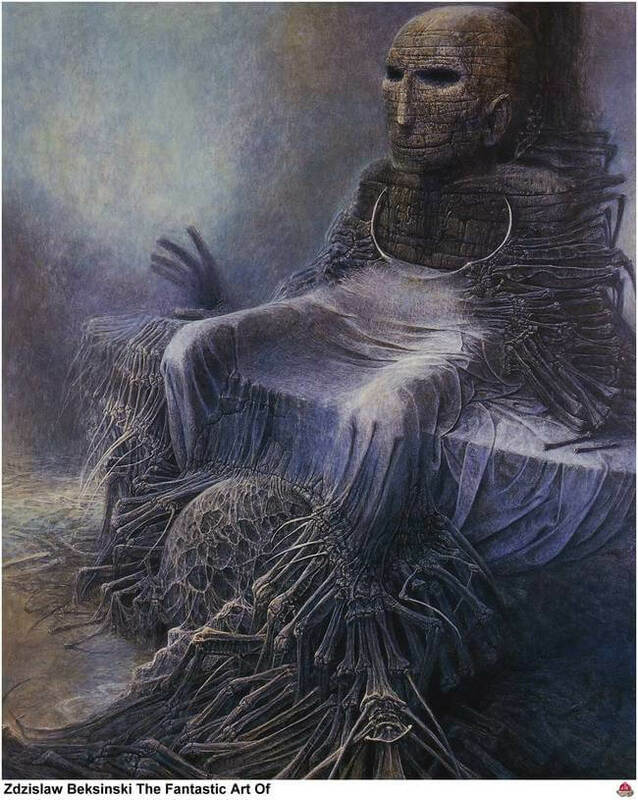 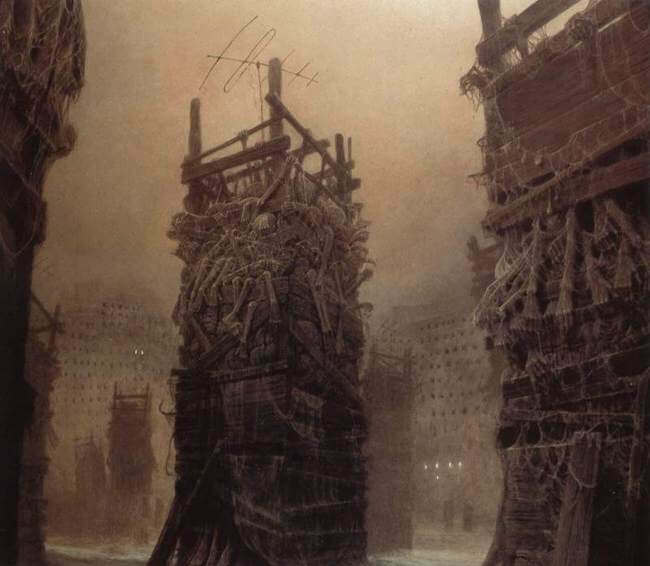 In February, Beksinski and the 19-year-old son of his long time caretaker were having an argument in Beksinski’s Warsaw flat. 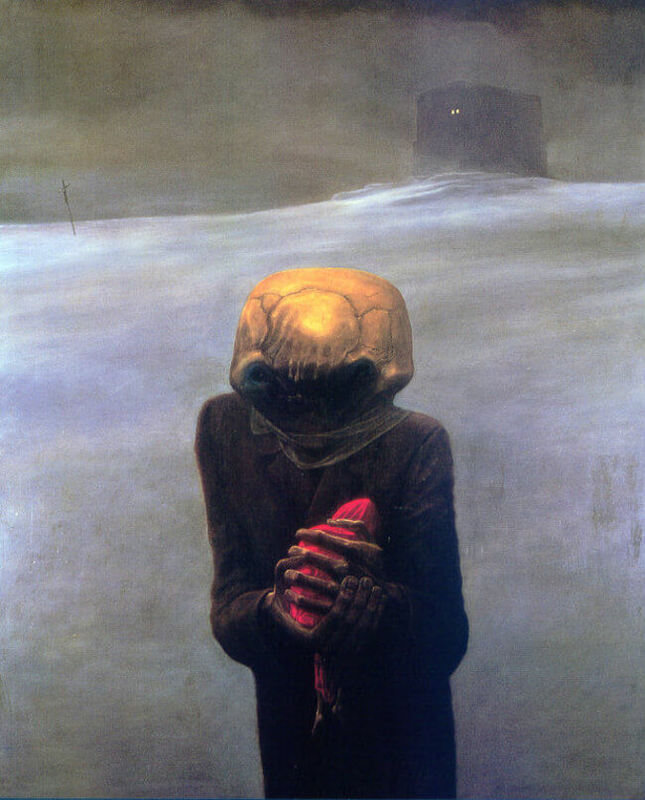 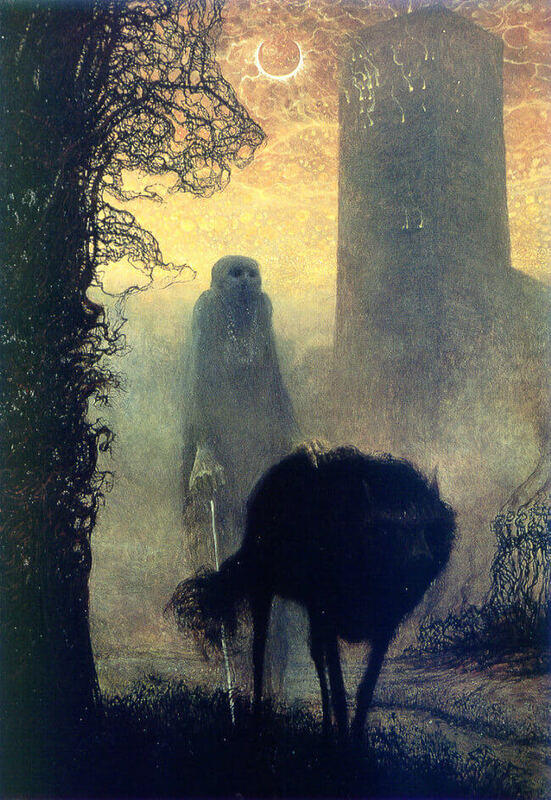 The boy became annoyed and angry with Beksinski because he would not lend him the equivalent of $100. 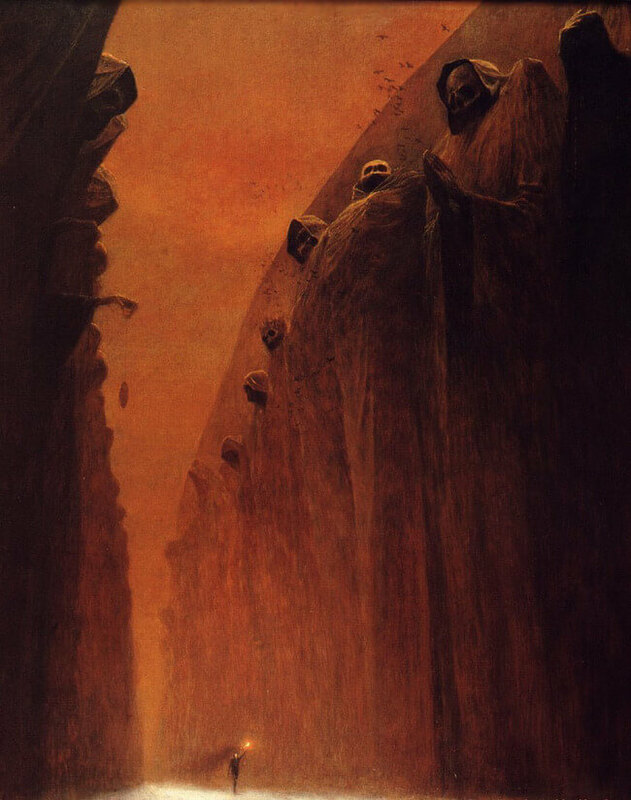 So, he stabbed him, 17 times total. 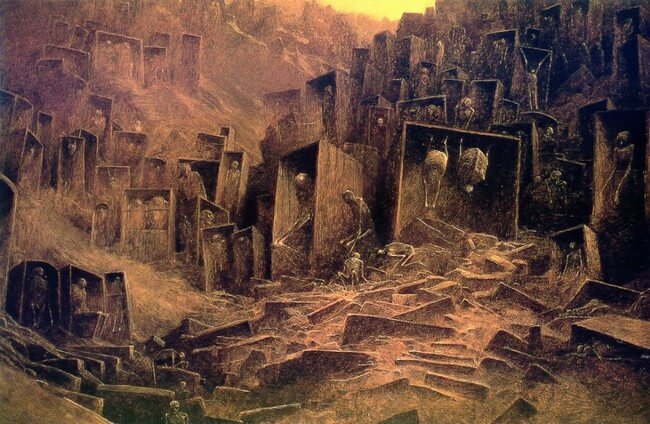 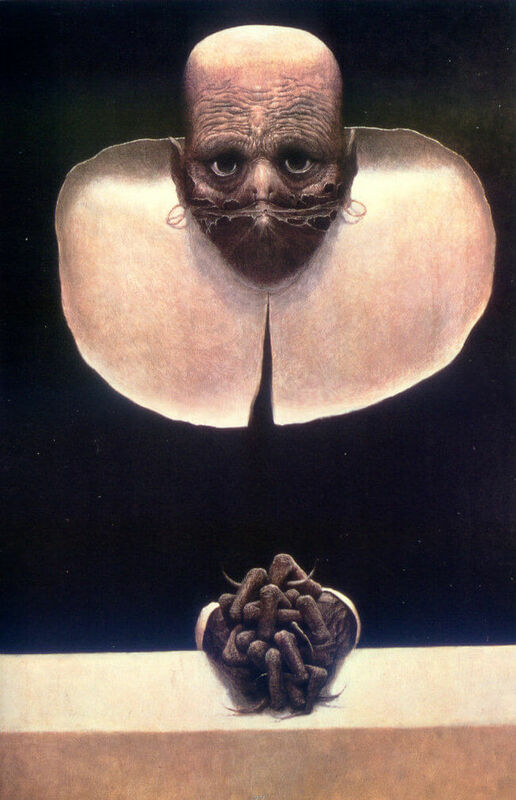 Zdzislaw Beksinski’s paintings, much of which are painted on boards, rather than canvass, can be viewed in the Beksinski Museum, which houses 50 paintings and 120 drawings. 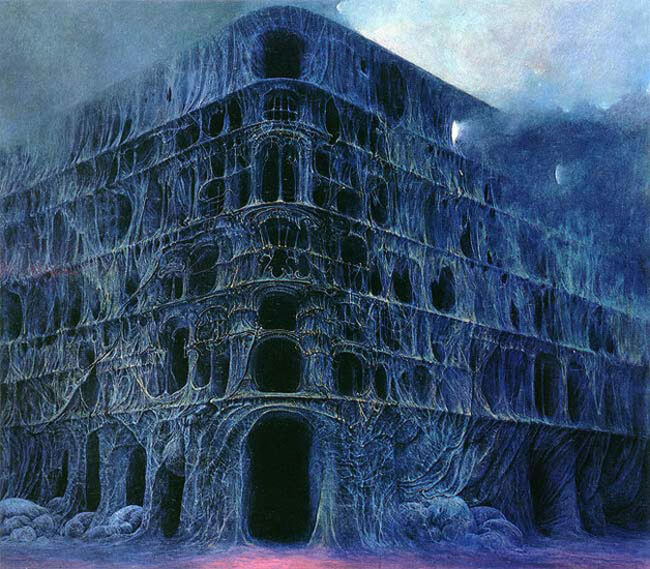 The gallery is located in Czestochowa, Poland.